Recently somebody in my Vedic Astrology Facebook group informed me that translation of original Ravan Samhita has been published by Chaukhamba. Wasting so much time and money on duplicate and photostat copies Ravan Samhita, I was delighted hearing this. I have great faith in Choukhamba and seeing opportunity I didn't waste any time and immediately called Choukhmba up. 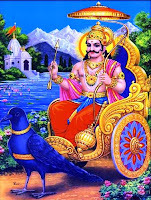 In the group I was given address of "Chowkhamba Sanskrit Seris Office, Varanasi"
On 15th November 2011 around 10:11 AM IST Saturn, our beloved Shani Dev, is leaving Virgo and entering Libra. Saturn is going to stay in this sign for the full year 2012. At the time of entering Saturn will be in Chitra Nakshatra - 3rd quarter. 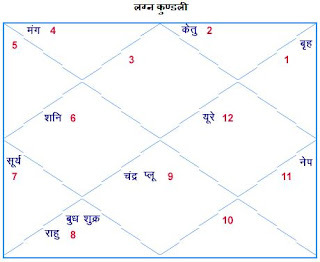 At that time Moon will be in Ardara Nakshatra - 4th Quarter in Gemini sign. Due to this transit, Shari Sade Sati will end for Leo Moon Sign (Rashi) and it will start for Scorpio Moon sign (Rashi). In other words, now Virgo, Libra and Scorpio will be under the Shani Sade Sati influence. 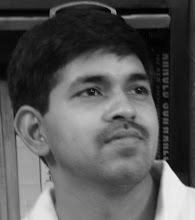 2012 Horoscopes and 2012 Astrology (Transit Horoscope) are available on AstroSage.com now. Transit Horoscope 2012 shows planetary positions for each sign during the start of the year on January 2012. 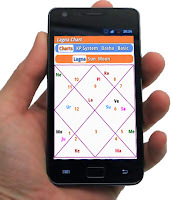 I am very pleased to announce that "Astrology Software" inside AstroSage.com is now available in Hindi language. So you can get Hindi Kundli from AstroSage apart from regular English language.